The Passive House Institute has announced [PDF] that it will start rating buildings that produce renewable energy while meeting the clearly defined Passive House Standard. In order to do this, PHI had to reexamine the calculations for primary energy. PHI uses the term primary energy to refer to what the US EPA calls source energy which you may be familiar with for Energy Star ratings. I’ll use PHI’s terminology in this post. See the Energy Star Portfolio Manager Technical Reference [PDF] for national source energy ratios for the US and Canada. These ratios depend on the mix of electricity generation. EPA chose to use national averages instead of local or electrical grid ratios. The choice of a “correct” primary energy ratio is complicated and not apolitical. For example, some people may disagree that burning coal on site is equivalent to onsite PV (both have primary energy ratios of 1.0 per EPA). And the ratios are constantly changing. When designing buildings that will last decades, should we use past primary energy ratios or future forecasts? These choices only get more complicated as renewable energy becomes a larger fraction of the electric grid because wind and sunlight are intermittent, requiring energy storage. As you can see just from the examples of heating and cooling, calculation of a Net Zero Energy building is complicated. All of them rely on the building itself as the boundary condition for renewable energy production, although sometimes including parking lots and public rights of way. The Net Zero concept discriminates against tall buildings because it is not feasible to install enough PV or wind turbines to meet the energy demands of a 4+ story building. WNYC has an article on the challenges of going solar in an urban environment and why Passive House should be the basis for the design, in order to reduce energy consumption. 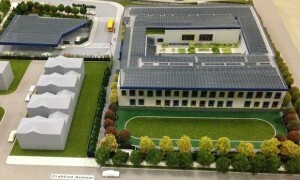 The article uses the example of a Net Zero Energy school on Staten Island with the luxury of a more suburban location than most of New York City that will open in 2015. 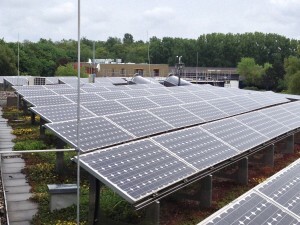 This building uses the “trick” of including PV panels over a parking lot. Passive House Classic: unchanged except for the new definition of Primary Energy Renewable. 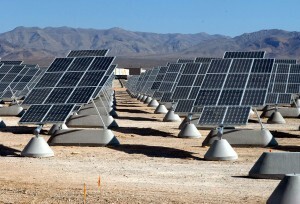 No onsite renewable energy required. Passive House Plus: for a single family house, about as much energy is produced as is consumed. Passive House Premium: for a single family house, produces an energy surplus. Without changing the Passive House definition, PHI will also start recognizing “Energy Conservation Buildings” that meet a certain threshold for energy efficiency but fall short of meeting the Passive House standard.